Sales are underway and construction is progressing at The Enclave at Mill Creek, a low-maintenance community from Meritus Homes in Addison. The property, conveniently located at the intersection of Army Trail Road and Mill Street, features 44 detached, single-family homes in Phase I. Already, 15 percent of these easy-living ranches have been sold. Buyers can choose from five floor plans with 1,379 to 2,154 square feet of living space, two or three bedrooms, and two full baths. Special preconstruction pricing—which is only available until the models open—starts from the mid $300,000s. Tucked in a mature area surrounded by established neighborhoods, The Enclave at Mill Creek will have abundant green space—including Westwood Creek, three ponds and a scenic sitting area—with more than one third of the ranch-style homes backing to natural areas. The homeowners association will perform all common area landscape maintenance as well as lawn care for each individual home. This maintenance-free lifestyle is especially appealing to empty nesters who are tired of spending energy on tiring outdoor chores, he explained. They also appreciate the benefits that come with a newly built home. For example, homeowners have few, if any, repairs that need to be made. Plus, they can typically stay comfortable for less since new homes tend to be more energy efficient. The biggest draw, however, is that buyers can personalize their new homes. For instance, several of the plans at The Enclave at Mill Creek have the option for a second story. This can add 866 to 1,090 more square feet of living space, one or two bedrooms or a loft, and another bath on the upper level. The two-story layouts, according to Dulla, are perfect for households with college children home for summer break or those who need to accommodate extended family or overnight guests. Other optional amenities are gourmet kitchen enhancements, gas fireplaces and upgraded flooring, among others. All homes at The Enclave at Mill Creek will be built to the exacting standards that signify a Meritus home. Interiors will have nine-foot first-floor ceilings, six-panel doors, decorative touches such as rounded drywall corners and brushed nickel finishes, central air conditioning, and full basements. Kitchens are designed around the chef with a full suite of stainless steel appliances including a range, microwave, dishwasher, and refrigerator; pantry, per plan; granite countertops; and elegant touches such as ceramic tile or oak flooring and cabinets with crown molding. All baths have ceramic tile flooring and shower walls along with cultured marble vanity tops while master baths have the added luxury of separate showers; custom-finished, wood, raised vanities; large linen closets; and compartmentalized water closets. Outside, classic architecture is designed to complement the area with brick accents, optional stone accents, and covered entries to provide shelter from inclement weather. Exteriors will be constructed of low maintenance materials such as vinyl siding for easy upkeep. Front, side and rear yards will be fully sodded plus a landscaping package is included with each new home to give it instant curb appeal. Buyers also have been coming to the community from surrounding towns such as Lombard, Elmhurst and Itasca—and even as far away as Palatine—drawn to the property’s convenient location. Shopping, entertainment, movie theaters, golf, casual dining, and forest preserves are all nearby. Plus, Interstates 355 and 290 are only a few miles away, as is Ill. Hwy. 83/Kingery Highway, for easy access to Chicagoland’s western suburbs. Two models—the two-story Waterleaf and Marigold ranch—are under construction at The Enclave at Mill Creek. Until they open, sales are being conduced from a sales center across the street, located at 601 Army Trail Boulevard, Suite C.
Sales hours are 10 a.m. to 5 p.m. daily. 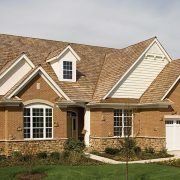 To preview floor plans at The Enclave at Mill Creek, visit www.MeritusHomebuilders.com. Or call (224) 634-4034. When Denise and Fred Morrone set out to find a new home, they didn’t know it would lead them to builder Meritus Homes—but it did. The couple knew they wanted a ranch. So they researched resale homes on the market and visited new communities. After searching on and off for nearly six months, they found the Marquis. The Marquis met their demands. With more than 2,600 square feet, 10-foot ceilings and an open-concept layout, it has an expansive feel. The Morrones made some modifications—they added a fireplace in the corner of the family room, removed the tub from the master bath to expand the shower, and eliminated a wall between the kitchen and family room to open the space even more. They expanded the island to create a 6-foot-by-7-foot center island, which is the focal point of the kitchen—and Denise’s favorite spot. As a semicustom builder, Meritus Homes understands that the personal choices and attention to detail are what make a new home so attractive. The company provides a portfolio of floor plans but allows buyers to add their own inspiration to create homes that are truly right for them. debuted new single-story plans like the Windsor at Lake Vista in Lake Villa. Tucked in a mature setting surrounded by existing homes, Lake Vista is an enclave of 28 single-family homes nestled around a single cul-de-sac for privacy. Everyday conveniences are nearby thanks to a location on the south side of Grand Avenue/Rt. 132, just two blocks east of Rt. 83 and only minutes from Lake Villa Metra Station. The community is within Lakes Community High School District 117 and District 41. When Denise and Fred Morrone set out to find a new home, they didn’t know it would lead them to builder Meritus Homes—but it did. The couple knew they wanted a ranch. So they researched resale homes on the market and visited new communities in the Fox Valley. After searching on and off for nearly six months, they found the Marquis at The Reserve in St. Charles. The Marquis met their demands. With more than 2,600 square feet, 10-foot ceilings and an open-concept layout, it has an expansive feel. The Morrones made some modifications—they added a fireplace in the corner of the family room, removed the tub from the master bath to expand the shower, and eliminated a wall between the kitchen and family room to open the space even more. They expanded the island to create a 6-foot-by-7-foot center island, which is the focal point of the kitchen—and Denise’s favorite spot. Eight customizable floor plans are available at The Reserve in St. Charles, including four all-new designs. Homes range in size from 2,400 to 3,800 square feet and in price from $502,900 to $549,900. Three ranch plans and five two-story designs are offered. The community’s location also was perfect for the Morrones. It is near the Fox River and its bike trail and river walk, and just a few miles from the downtown district. 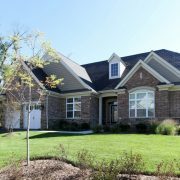 The Reserve in St. Charles offers open space and neighborhood amenities such as bike trails, ponds and a neighborhood park along with estate homesites with big back yards. Throughout his career, Jay Dulla, executive vice president of Meritus Homes, has followed the progression of baby boomers and Generation Xers — building the types of homes they needed and wanted as they went through life. He got his first taste of the homebuilding industry when he worked for a financial lender that specialized in loans to real estate developers. Then he took a position with a small custom builder of high-end houses on the North Shore called The Baxter Group. It was there he truly learned the business, getting his feet wet in the entire development process, from zoning to marketing. rom there Dulla went on to run the real estate operations of Plote Excavating, where his most notable project was Boulder Ridge Country Club in Lake in the Hills. In 1992 when D.R. Horton came to Chicago (before they purchased Cambridge Homes), he took the reins and built it into one of the area’s leading homebuilders in less than five years. Around the millennium, Dulla started his own firm, Remington Homes. Then, during the long recession, he worked on a variety of small projects before, most recently, he took over running day-to-day operations of Meritus Homes based in Deerfield. Meritus was founded in 2009 during the depths of the Great Recession. It was formed by two former Pulte executives and their investment partner, Gary Janko of the Janko Group. Meritus purchased parcels from other builders at bargain prices. But it only chose properties that were in great locations where land was in short supply and high demand, Dulla said. Meritus has been building single-family homes on those parcels ever since. “Overall, Meritus works to deliver quality homes that include the latest trends, which feature unique architectural details and offer the flexibility for owners to use rooms in a variety of ways. “Meritus is a semi-custom builder, which means we will work to make the customizing changes to our existing plans that our customers want. Meritus Homes is building subdivisions in St. Charles, Lake Villa and Addison. Another small community in Lake Forest is expected to open this summer. In addition, Meritus is purchasing older homes in select communities like Winnetka, Wilmette, Glencoe and Northbrook, tearing them down and building new, state-of-the-art homes for those who want to live in those enviable communities, but also want a new house. Meritus’ current subdivisions are The Reserves of St. Charles, which has 60 lots remaining; Lake Vista in Lake Villa, where 21 lots remain; and an age-targeted, maintenance-free 87-lot community at the intersection of Army Trail and Mill Roads in Addison. What is the best part about being a builder? What are the biggest changes you have seen? 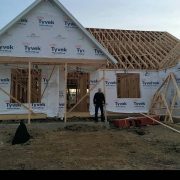 “From the standpoint of a new-home builder, the biggest changes I have seen are that, because home values have not risen as much as they have in the past, builders are making much smaller margins. So we are decreasing the sizes of the homes we are offering and we are eliminating many of the volume spaces we used to offer. We have to stay within the price constraints of any given market. In addition, Dulla said, builders have to be more cautious now about picking their locations and not become overloaded on land positions. What do you expect in the future? “During 2017, I expect Meritus Homes will build between 30 and 40 homes and then in 2018 that number will be up to between 60 and 70 homes. An Illinois builder finds that its ranch-style layouts are a hit with 55+ buyers for a number of reasons. Every empty nester has a different story, but one common theme when it comes to this group’s housing choices is their preference for ranch-style homes. In fact, according to the NAHB’s 50+ Housing Council, 64 percent of baby boomers favor single-level living. 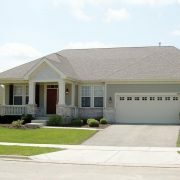 That statistic is evident at The Reserve of St. Charles, a Meritus Homes community of semi-custom and custom homes near St. Charles, Ill., where recent ranch-home buyers demonstrate the broad appeal of single-level floor plans. The Reserve of St. Charles includes 133 homes, with semi-custom home and lot packages priced from the $505,900s. It’s always interesting to talk to our empty nester buyers because despite their very different lifestyles and motivations for choosing The Reserve of St. Charles, the thing they often have in common is the priority they place on ranch living. For these buyers, the fact that we offer new-construction ranch homes in a highly desirable location like St. Charles is a win-win. Many have roots in this area, so they appreciate that our ranch homes allow them to stay here long-term. For example, one empty nester couple recently purchased a second home at The Reserve of St. Charles to be closer to their children and grandchild. Having raised their family in St. Charles, the couple had moved to Arizona seeking warmer weather. However, when their daughter, who still lives in the Fox Valley area, had her first baby, the couple realized they wanted to live part of the year back in the Chicago area to spend time with their grandchild. For this couple, it was important to have the flexibility to be back in St. Charles as often as they wanted, so owning a place of their own was a priority. When they started looking at floor plans, our ranch designs just made more sense. Not only are they slightly smaller in square footage, which means less to worry about in terms of upkeep, maintenance and furnishing a second home, but there was also the consideration of single-level living and the independence it would allow them for years to come. Another empty nester couple who chose to downsize to a ranch plan at The Reserve of St. Charles are Brett and Jennifer Becker, lifelong residents of the Fox Valley who raised their children in a large, five-bedroom home. When their youngest left for college, they started looking for single-level living options in the area to remain near their jobs and network of family and friends. For the Beckers, who see themselves living in this home long-term, a ranch plan was a great fit in terms of allowing them to comfortably remain here even as they grow older, adding that the two single-level designs at The Reserve of St. Charles offer downsizers generous space. The Marquis measures 2,610 square feet, while the Kingston offers 2,828 square feet. Most downsizers coming from a larger two-story home are looking more for a reconfiguration of space rather than a significant step down in square footage. They appreciate that our two ranch plans feature an open family room and kitchen configuration that fits with a more causal retirement lifestyle, but at the same time offer formal space such as a separate dining area for hosting family gatherings and a den for those who continue to work from home. Boomers and empty nesters also typically want a high level of finish in the home they choose for their retirement years. They want to simplify the space in their home without giving up the beautiful quality and special touches for which they’ve become accustomed. Homes at The Reserve of St. Charles feature 10-foot first-floor ceilings; site-finished hardwood floors in the foyer, powder room and kitchen; a gourmet kitchen with 42-inch cabinetry, granite countertops, preparation island and stainless steel appliances; and a spa-like master bath. Home sites are fully sodded and landscaped, including trees and foundation plantings. During a Midwest winter, when boots, snow pants, hats and gloves can become a daily uniform, a mudroom serves the important purpose of “drop zone” for all extra outerwear. At Greenbrook at Highland Woods, a Meritus Homes community in Elgin, all homes feature an oversized mudroom off the garage, with plenty of space for individual cubbies for each member of the household, as well as bins and hooks to help with organization. It’s a huge help to have a designated place for all that gear to be stowed and organized when everyone arrives home from school or comes in from outside, so you’re not running around looking for that misplaced glove or mitten before leaving the house the next day.